PRESS RELEASE: The Deal with Iran is a Dangerous Mistake: Canada is right in being skeptical and refusing to ease the sanctions in Iran! The interim agreement signed by the Islamic Regime and the International Community is a dangerous mistake which may lead to serious consequences. The Regime in Iran buckling under international pressure and the weight of the sanctions has managed to obtain an excellent deal from the international community while making almost zero concessions. The new deal will give the regime a much needed relief from the sanctions at least for the next six months, while buying them much needed time to continue working on enriching uranium and moving closer to acquiring nuclear weapons. Another unfortunate effect of the recent deal, which promises to give the Regime relief from back breaking sanctions is the fact that the issue of serious and systematic human rights violations committed by the regime against the people of Iran seem to have taken a back seat along with the regime’s financial support for terrorist organizations such as Hezbollah and Hamas. 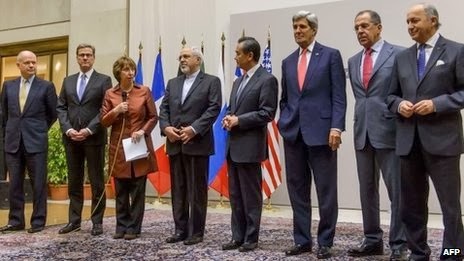 By making a deal with Iran that only focuses on the nuclear issue the international community has given a green light for the regime to continue to oppress its own people and to silence the strong voices of dissent inside Iran that has been calling for the complete overthrow of the Islamic Regime in Iran. The threat posed by the Islamic Regime in Iran both domestically and internationally is real and should not be taken lightly. Canada is right to be skeptical about Iran’s intentions and to refuse to ease the sanctions on Iran. PRESS RELEASE: Rally on Queens Park to Oppose Mass Executions in Iran: Wednesday November 6th 2013, 12:00-2:00 p.m., Join Us to say No to Executions & No to Islamic Regime in Iran! Since the [S]election of Hassan Rouhani in Iran, the Islamic Regime has gone on a rampage of mass executions in order to create an atmosphere of fear and terror among Iranians, in an attempt to prevent any opposition against the Regime. The past week alone saw the executions of more than 30 people including a well known Kurdish political prisoner Shirkuh Moarefi who was executed this morning! Ms. Hassan lastly stated: “In the face of total silence of the Canadian Government and majority of the main stream media on the issue of mass executions in Iran, Iranian Canadian activist have organized a rally for Wednesday November 6th 2013 on Queens Park from 12:00 p.m. to 2:00 p.m. in order to raise awareness about the mass executions and to urge the Canadian Government and media to break their silence with respect to this issue. 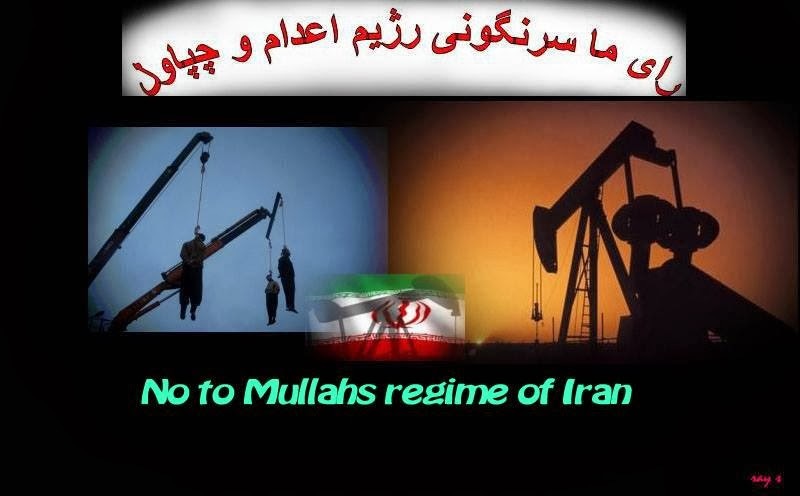 We invite all groups and organizations who condemn the recent executions in Iran to join us on Queens Park and say No to Executions and No to Islamic Regime in Iran!